It’s long been said that parks and trees are the lungs of a city. We are fortunate that past generations of Newton leaders had the foresight to create places like Farlow Park, Newton Centre Playground and Cold Spring Park. Maintaining and creating more public green space is more important than ever as by-right and other development consumes the green space in our back and side yards, increased traffic stresses our lives, and the effects of a sedentary lifestyle are a public health concern. 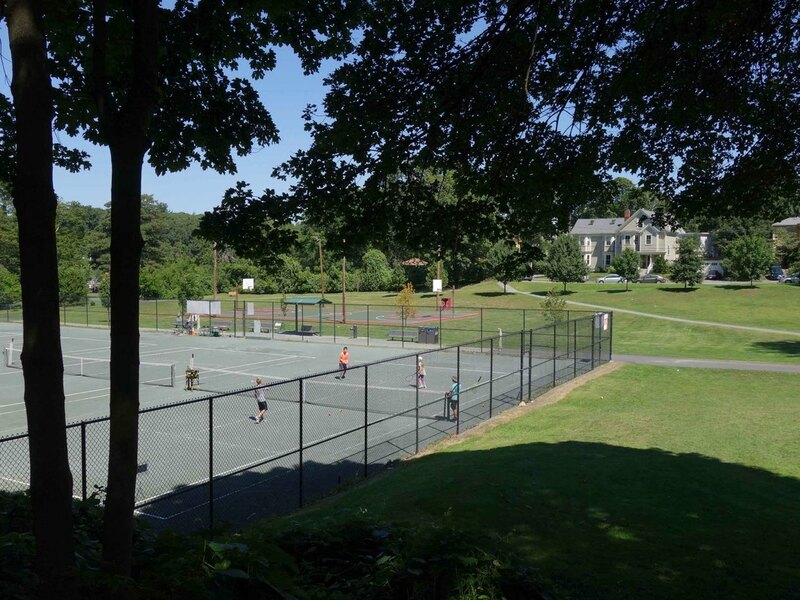 Neighborhood parks that people can walk to keep people of all ages happier and healthier, and are both a practical and aesthetic amenity that makes Newton a desirable place to live. We must adequately fund the Parks & Recreation Department, and take advantage of opportunities presented to create new public spaces. I spoke in support of using CPA funds to acquire Waban Hill Reservoir to provide a unique new public park in Chestnut Hill. I have actively urged that public recreational and open space be maximized at the former Parks & Recreation headquarters at 70 Crescent Street, and that CPA planning include acquisition of the adjacent Eversource property, should it become available, to provide permanent park access from Auburn Street. A key, central portion of Webster Woods, Newton's largest contiguous open space -- the 22-acres purchased by Boston College, with great recreational and scientific value, is under threat of future development. I support every effort to ensure permanent protection for this land, including the use of eminent domain if negotiations with BC fail. Along with streets and sidewalks and building maintenance, Newton’s ‘green infrastructure’ — our public tree canopy — was underfunded for many years. Our street tree population is estimated at 20,000, down from about 40,000 in the 1970s. Under current planting standards a realistic target may be only 30 to 35,000 street trees. Over 1,000 dead, dying, storm-damaged and otherwise hazardous trees have been removed in FY17, and this pace is expected to continue, while Forestry and the Tree Conservancy combined can currently plant only about 600 trees per year. As the city begins to catch up on road reconstruction and repaving, and makes our sidewalks ADA-compliant, we must, where possible, use methods that preserve the benefits of mature street trees. 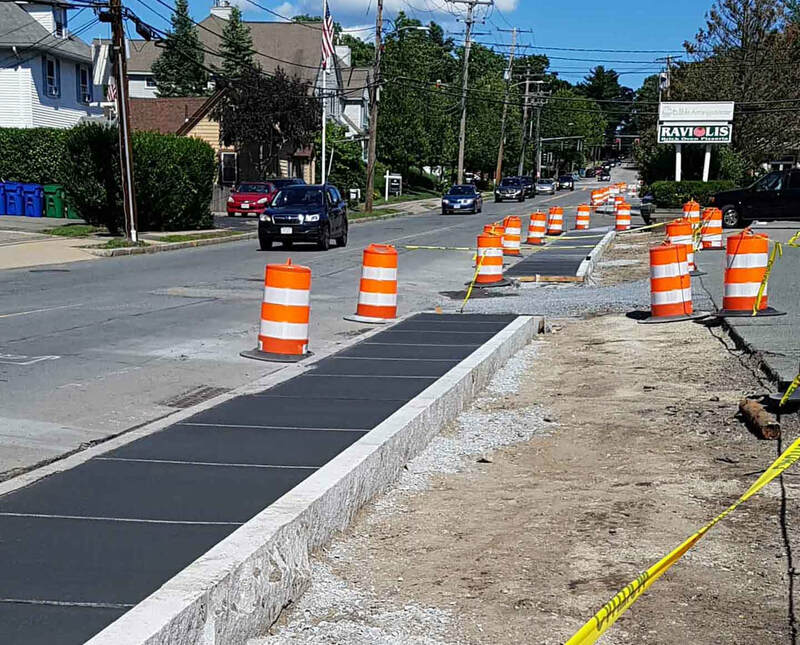 These include heat island mitigation, storm water retention, traffic calming, and shade for pedestrians and cyclists that will make these modes of travel more appealing on hot summer days. I urge everyone to reject the proposed new city charter that will also be on the ballot for an up or down vote on November 7. Elimination of ward-elected councilors is contrary to the principal of representative democracy. It would concentrate power in fewer hands, eliminate dissenting viewpoints on the Council, and make it more expensive for everyone to run for City Council, because every race would be citywide. It would remove the councilors who are most accountable to voters, and who are easiest to oust by a challenger ‘walking the ward’ if they don’t serve the interests of the ward. It’s no benefit to be able to ‘vote in every race’ as proponents argue, if your preferred candidates are swamped in every race by voters from the rest of the city. It is ironic that while Newton’s League of Women Voters supports elimination of ward-elected councilors, the LWV of Everett, Washington, as well as several progressive organizations, are backing an effort to change Everett from an all at-large council, to a majority district model. Please visit newtondemocracy.org for more information. As long as our school system maintains its good reputation, Newton will always be a more expensive place to buy a house than most other communities, because of our location, combining proximity to Boston with access to the T, commuter rail and major highways. People will stretch to buy in Newton, knowing their investment will hold its value. But our supply of “starter” homes is shrinking, as small and even not-so-small houses are being purchased by developers, to be replaced by much larger houses, unattainable and impractical for middle-income families. How we handle development and zoning reform could address this problem, or make it worse. If we do nothing, only the very wealthy will be able to afford houses in Newton. But with a finite amount of land, trying to build enough housing to fill demand for living in Newton is not a sustainable solution. Our varied villages and village centers distinguish Newton from many other suburbs. Architectural diversity from early workers’ cottages, bungalows and the original Oak Hill Park houses, to magnificent Queen Anne Victorians and villas, is part of our history. But pressures from development have many concerned about the history and housing diversity we are losing. Unlike similar sized cities with one business district, we are fortunate to have many small ones, enabling many residents to live within walking distance or a short drive of a village center. I am lucky to be able to walk to both West Newton and Auburndale Squares, but have favorite destinations in many others, and find that how often I visit or stop while passing depends on being able to park easily. Remembering what happened to Newton Corner, we should be wary of overdeveloping our village centers. Historical or architectural significance is no guarantee that a house will be protected from demolition. The Newton Historical Commission can only delay demolition for one year (18 months in the case of Historic Register or Historic District properties) for houses more than 50 years old. The historic Wetherell House in Upper Falls is now gone. So is a Gothic Revival two-family workers cottage at 111 Webster Park in my neighborhood. The volume of demolition requests is so high that many are approved by Planning Department staff, without Historical Commission review. 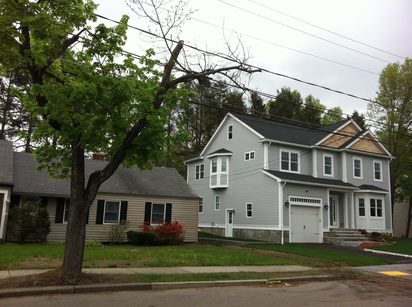 The four Local Historic Districts (LHDs) have helped to preserve our architectural heritage in those areas, and particularly in Upper Falls, many smaller homes, attainable for people buying their first homes in Newton. I'm open to additional LHDs, or other tools, where there is resident support. See this video for more about historic preservation. 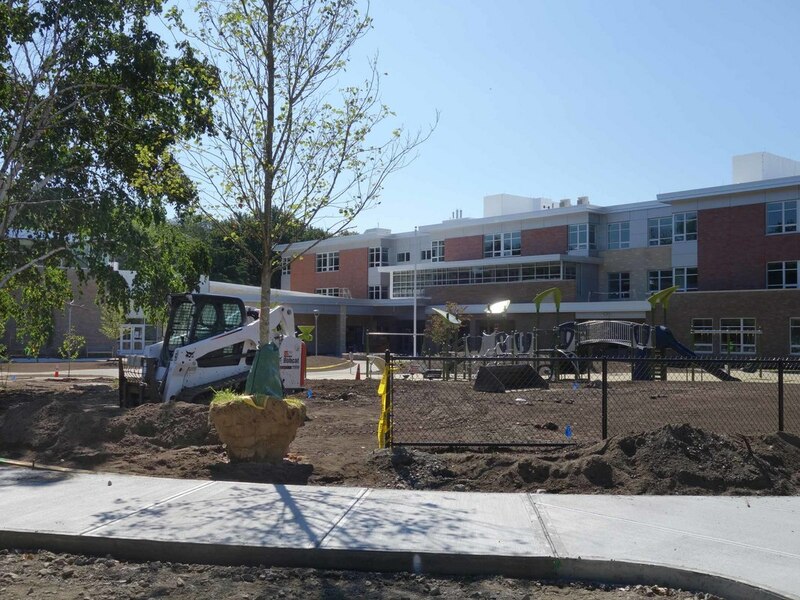 The debate over transforming small, walkable neighborhood schools like Zervas into much larger schools requiring more children to travel by bus or car has raised important questions about the fiscal and other impacts of this shift. Is this something most residents want? How will further growth, like the proposed 900 units on Needham Street, be accommodated without adversely impacting residents financially, or compromising educational quality? Although the School Department's operating budget and policies such as redistricting are not within the control of the City Council, the Council does have a say on authorizing debt exclusion and override votes for schools, and acquisitions and dispositions of property. Many schools were closed in past decades based on forecasts of school populations which turned out to be wrong -- decisions later regretted. We are still living with the consequences of past surplussing decisions, most visibly the side-by-side Oak Hill and Brown Middle Schools resulting from the closure of Warren Junior High School. Land in Newton is incredibly valuable, as shown by the number of houses purchased only for their underlying land. Public land sold for development will be lost forever, and difficult and expensive to replace. Experience has shown that we’re much better off retaining our public assets, or the right to reclaim them, as with the Carr and Bigelow schools, because we don’t know what the city’s future needs will be. Former branch libraries are now valued community assets: community center/libraries in Auburndale and Waban, the West Newton police annex, and the Senior Center (Newtonville). In 2014 I helped collect signatures to put Question 5 on the ballot. Newton voters in State Rep. Kay Khan and Ruth Balser’s districts (most of Newton) voted by a 61-39 percent margin that they believed sales of municipal property greater than 7,500 square feet should require voter approval. Elected officials should listen. 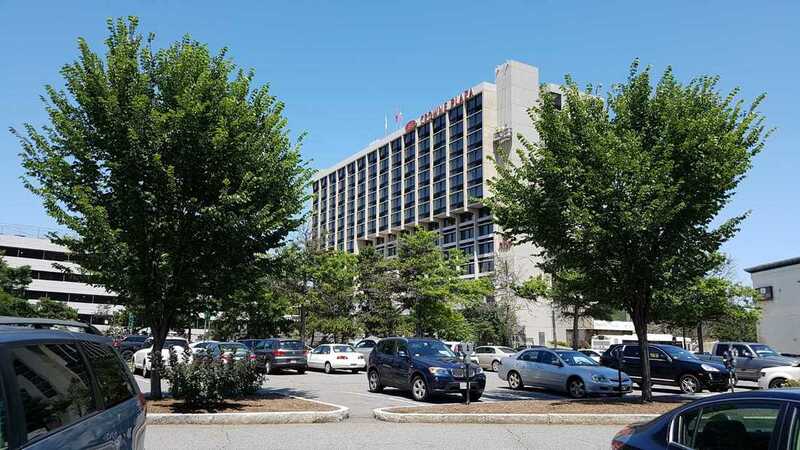 I will oppose further surplussing of city parking lots such as the Richardson Street lot in Newton Corner - the current administration's next target for development. Progress has been made in addressing the city’s long-term financial obligations: pensions, OPEB, and maintaining or replacing our schools and municipal buildings, but great challenges remain. The current schedule for funding our $1 billion pension and OPEB liability relies on annual payments that increase about 10 percent per year, while revenues increase only 2-3 percent per year. The burden of a debt accumulated over many decades should not fall on just one generation. The most responsible way to meet the obligation may be a debt exclusion override, timed to expire when the obligation is met. One key requirement for fiscal sustainability is retaining and expanding our commercial tax base, recognizing that commercial property brings in more taxes than it costs in services, while residential property, overall, does not. A second requirement, often overlooked, is that we maintain our demographic diversity. We must keep Newton an attractive place to live for people at all stages of life, not just for families with school-age children. Otherwise we face a cycle of escalating taxes to pay for higher school costs, leading to more empty-nesters feeling forced to sell their houses. The School Department budget at first glance is about 56% of the FY18 total city budget, but if debt service for schools, pension and retiree health care funding, water/sewer and building maintenance for schools, school bus parking and other costs are included, school-related costs account for 63% of the budget. We need residents of all ages and situations to feel they're getting value for their taxes. Newton residents lead busy lives, and it’s hard to keep track of what’s going on at City Hall, let alone attend meetings, for many people who work full days (or at night) and have busy family schedules. As an example, residents may arrange their schedules to attend a Land Use Special Permit hearing, only to find the developer has requested a postponement at the last minute. The burden is often on residents to keep asking when an item will be taken up. Many documents can only be viewed in person at City Hall. Audios for many Aldermanic committees are available promptly on newtonma.gov, but others have taken months to appear. Some are never posted because the tape recorder batteries died. Residents have been charged $15 each for audio CDs of Zoning Board of Appeals hearings, which could and should be posted on newtonma.gov. Working for a newspaper, I know how important the laws relating to transparency in government are to keeping people informed. I encourage everyone to become familiar with the Massachusetts Public Records Law and the Open Meeting Law.